Saverio runs research in the areas of M2M, Internet of Things, wearable technologies and smart solutions for vertical sectors. During last six years, Saverio has focused his technology and market research on the evolution of the mobile industry, primarily looking at European mobile network operators. He has done extensive research and published in areas such as mobile healthcare, smart cities, smart utility, data analytics in the mobile industry, wearable technologies, smart farming and M2M/IoT in technical and market terms. On these subjects, Saverio has also advised companies such as Telefonica, Vodafone Group, Deutsche Telekom, Toshiba, NEC, Telespazio, KXEN, Pursway, Inmarsat, Wireless Logic, Wyless, Digi International and GSMA. 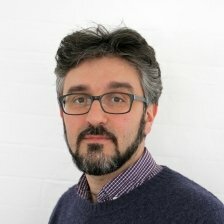 Saverio comes from 15 years experience in telecoms as market analyst at Frost & Sullivan, telecommunications and innovation policy analyst at Technopolis Group and European Commission DG Connect, as a software developer at DS Group and as an academic researcher at Birkbeck College – University of London. Saverio is also a Research Fellow at the Centre for Innovation Management Research at Birkbeck College. His research revolves around academic spin-outs, accelerator programmes in high-tech sectors and regional innovation policy. He holds three Master Degrees, one in Telecommunications Engineering (University of Naples “Federico II”), one in Information Technologies (“Politecnico di Milano” University – CEFRIEL) and one in Innovation Management and Technology Policy (Birkbeck College – Universtiy of London). He speaks fluent English, he is native Italian and he is currently studying Modern Greek.